Social media is apart of our daily lives it just is, you can’t run from it you can either get on board or be left behind. 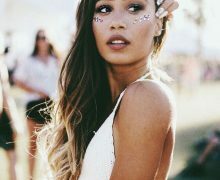 Sometimes social media is viewed as a bad thing, people can be really mean or expose themselves in ways they wouldn’t ordinarily do in person. But with all the negative that comes along with social media there are many positive attributes that social media has on our everyday lives. I want to use social media to help bring college students and millennials of color together in a positive way, that’s is the idea behind the actual site, to give them a space where they can shine and their voices can be heard. So what better way to do that than using social media. More specifically snapchat. Snapchat is a video messaging application that allows a person to create a short video (snap) of something that they are doing and it disappears (unless you download the snap) within 24 hours. You can follow people and depending on how much a person uses snapchat you can literally follow their entire day. Dorm Room Television has a snapchat handle and I usually only snap when I am going to a cool event or trying to take you behind the scenes. 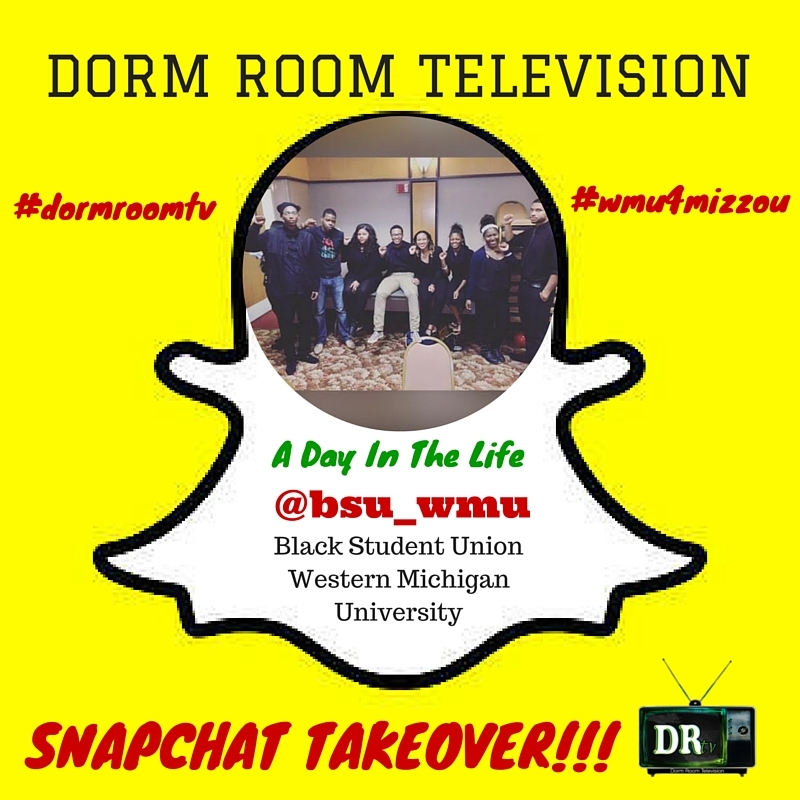 But I don’t use snapchat as much as I do other social media handles, I thought it would be a cool idea to see what would happen if Dorm Room Television did snapchat takeovers? But the snapchat takeovers wouldn’t just be someone playing around on snapchat it would be college students and millennials who were from different worlds allowing us in to follow them for an entire day. 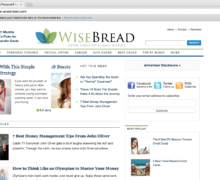 The concept seemed simple enough but one thing was missing….the people. 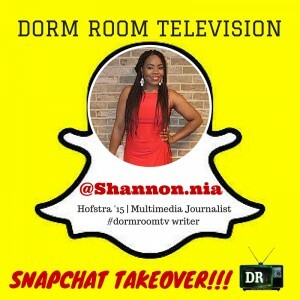 I asked Shannon a writer for Dorm Room Television (check our her personal site) to allow us to follow her around for a day. She attends Hofstra University and is a Journalism major, I didn’t know how well it would be received but I did think it was worth a try. 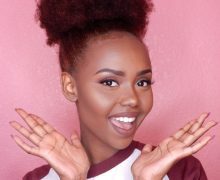 As soon as she took it over it was a hit, college students and millennials both tuned in to see how Shannon’s life was as a student who attends Hofstra University. Shannon took us through her entire day, we saw her campus, dorm room, classes, and even got to hear from her Professor. What made the snapchat takeover a success was how the college students from other schools interacted with Shannon. They asked her about her major and if she liked attending the school and she provided feedback. We did it for a second time this time going further, we left the United States of America to see what was life like studying abroad. 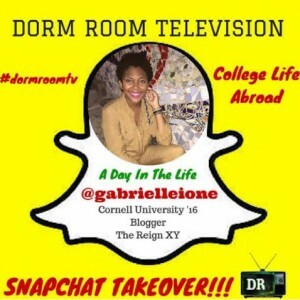 Gabrielle attends Cornell University but is currently studying abroad, she took us with her to Copenhagen! Her snaps were so amazing it really felt like I was right there with her. And then #MIZZOU happened and I thought to myself, “with all of the black students who are in college standing in solidarity with the students at the University of Missouri how can we use our snapchat to give them a voice? 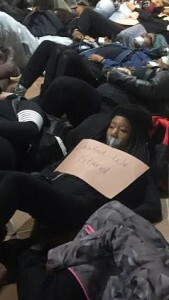 I reached out to the Black Student Union at Western Michigan University, they were having a “Black Out.” Students would be meeting up for a scheduled “die in,” and would be exercising their right to speak out and stand in solidarity with the students at the University of Missouri. They took over our snapchat and students from other schools were able to see their experience and it was by far one of the most amazing things I have witnessed using social media. We are constantly trying to find ways to get voices heard and this was one of the best snapchat experiences that I have ever watched. 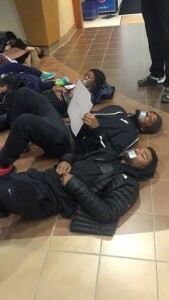 We were proud that black college students were coming together to stand for something that effected them and we were able to use our platform to get their voices heard. 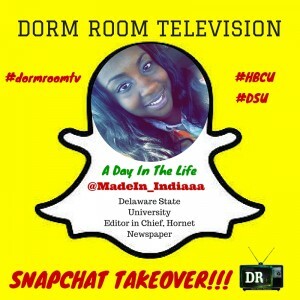 We then headed to Delaware State University where our girl India took over the snapchat and we got a glimpse of what life was like at a HBCU (Historically Black College and University). 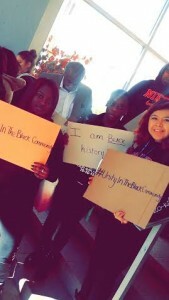 It was really great to see how students who attend and HBCU lived. So where are we headed next?? Well, we are headed to Kentucky State University! Yes you have heard correctly, we are headed to Kentucky State University to see how senior Toi Monet prepares for her very first trip to the big apple!!!!!!!! It’s our first two day snapchat takeover!!! So make sure you tune in both days (12.2 & 12.3) so you can’t get the full experience and possibly be of assistance (this is her first time in New York City)! I started “A Day In The Life,” a snapchat takeover just to see what would happen if we allowed college students and millennials to let us into their lives for a day. The results have been great, I am grateful for all the students who have participated, you guys are amazing! This is season 1 next year (January) we plan to keep the ball rolling with our snapchat takeovers! 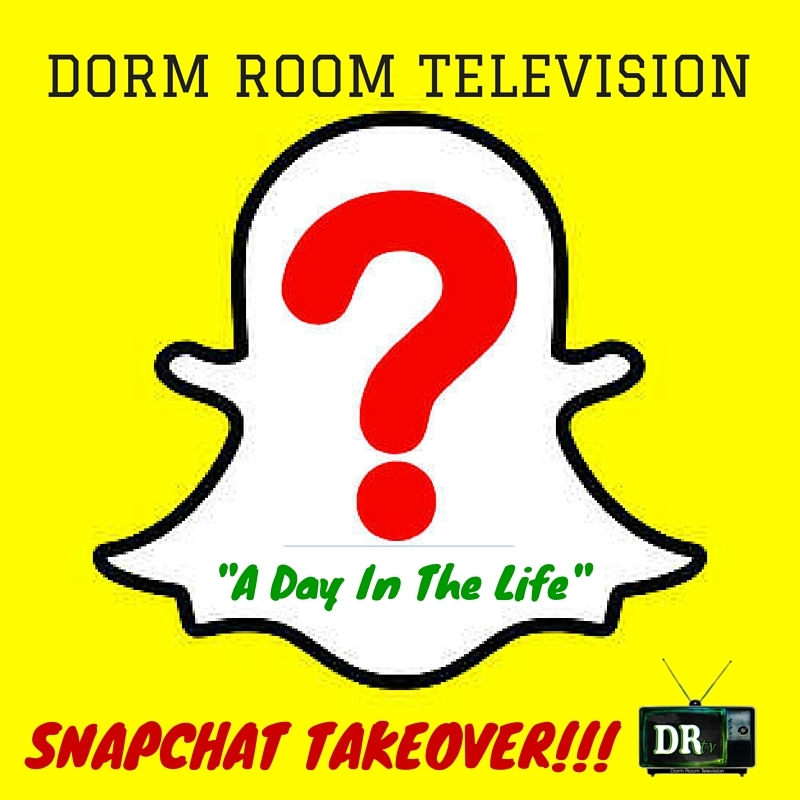 Make sure you follow us on snapchat (dormroomtv)!!!! 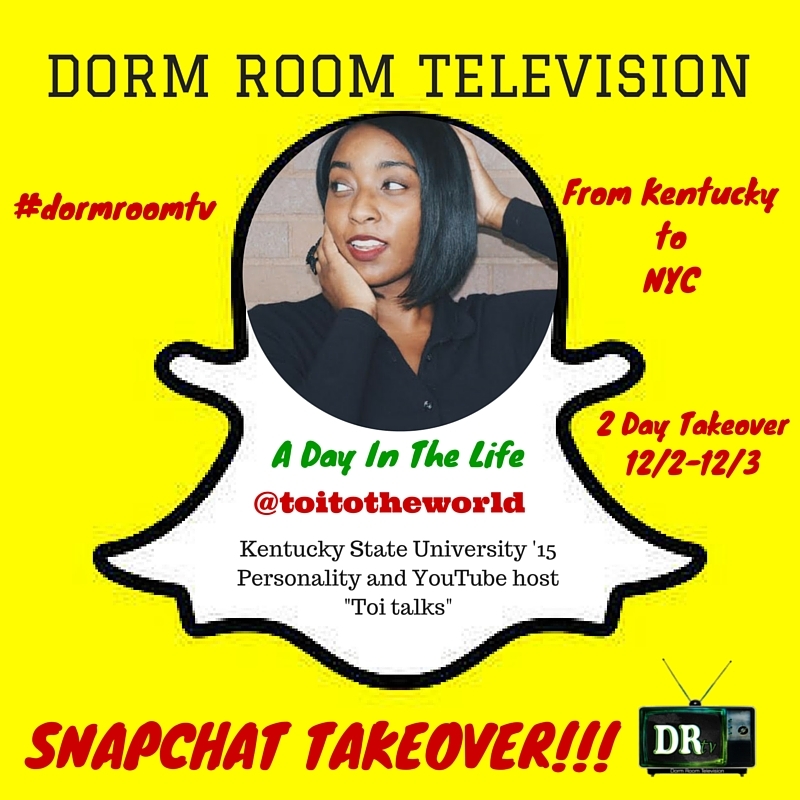 If you are interested in taking over our snapchat please email us at dormroomtv@dormroomonline.com subject like (A day in the life, snapchat takeover).